Nancy Rink Designs has created a wonderful series of patterns to make this quilt that will finish at 88 3/8 x 105 1/2". The quilt is broken down into five parts. The instructions are well written and easy to follow. All of the fabrics used in this project are from the Marcus Fabrics' Centennial Solids collection. 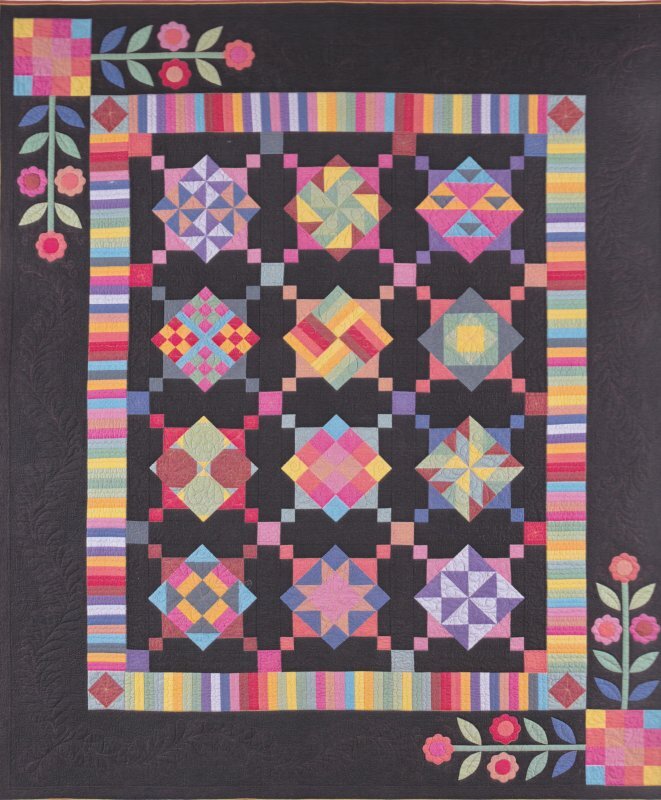 When you purchase this complete kit from Hen & Chicks Studio you'll receive all five parts in a complete package to make the quilt top and binding. Backing fabric is sold separately and you'll need 8 yards. Hen & Chicks Studio carries the Centennial Solids in-store if you'd like a coordinating backing fabric.